Having secured second place in the previous day’s longer opening affair, the Racing Steps Foundation-backed driver started from seventh position in the reversed grid finale. Dennis made a far better start to the race than the previous day, and took advantage of a cautious approach to the opening turn when the front three drivers heading into Turn One entered it side-by-side. As the trio headed wide, Dennis and those around him managed to drive ahead of the trio with Dennis progressing into fourth position. Following a safety car interlude on the opening lap, Dennis trailed ART GP’s Nirei Fukuzumi by 1.6 seconds with the Campos Racing machine of Alex Palou behind. The pack remained in position throughout the mid-part of the race, until the closing laps when Dennis was able to cut Fukuzumi’s advantage to only 0.6 seconds. Dennis’ threat to Fukuzumi continued as he attempted to find a way past on the final lap with the Japanese racer’s gearbox ahead of him. But Fukuzumi defended well to prevent any passing manoevre, and Dennis was forced to settle for fourth place as the chequered flag flew for the final time in the 2016 season. DAMS’ Jake Hughes scored race victory with fellow Brit Jack Aitken second, accompanied with Fukuzumi on the bottom step of the podium. The final race result solidified Dennis’ fourth place in the standings, three points ahead of Aitken. 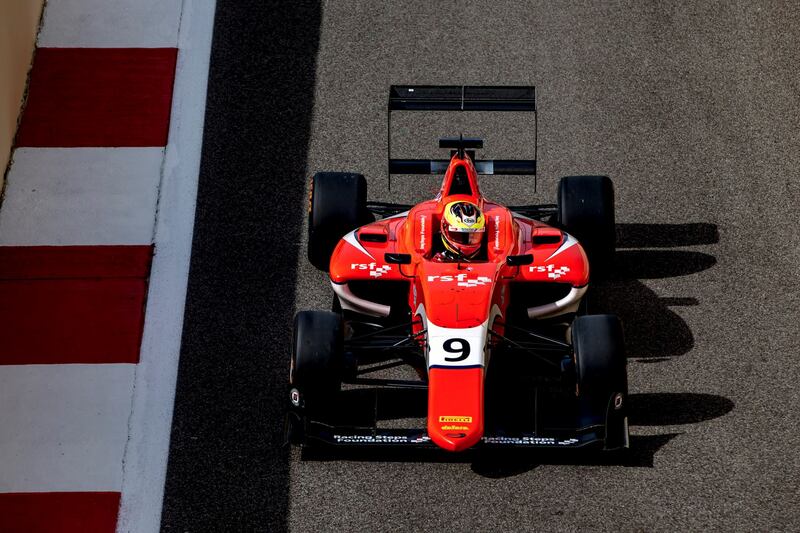 ART Grand Prix’s Charles Leclerc had already wrapped up the Series’ title the previous day with team-mate Alexander Albon second and Trident’s Antonio Fuoco third.